Italy is one of the UK’s closest trading partners and biggest export markets, and presents significant opportunities for UK businesses. There is demand for defence, cyber security, aerospace and engineering skills. Trade with the city of Milan and the surrounding region is especially strong. Italy’s industrial strategy creates opportunities in innovative industries like cyber security, digital transformation and life sciences. In 2019 the government will launch a national artificial intelligence strategy to promote investment. UK businesses are very important to Italy, and investors are committed to their UK projects. There is an appreciation for British professional services, technology and quality consumer goods. Total trade between the UK and Italy reached £43.7 billion in the 4 quarters ending Q3 2018, an increase of 1.4% from the same period the previous year. The northern region of Lombardy is particularly important to the Italian economy, and trade between the UK and Lombardy has been growing in recent years. Italy is one of our largest export markets. There is high demand for skills in technology and engineering. Some important sectors include defence, aerospace, advanced engineering and life sciences technology. Infrastructure and security is a priority for Italy's defence industry, and cyber security is a growing area. Research and innovation are very important in Italian industry. With high levels of research and development spending, there is strong demand for new digital skills and business models. 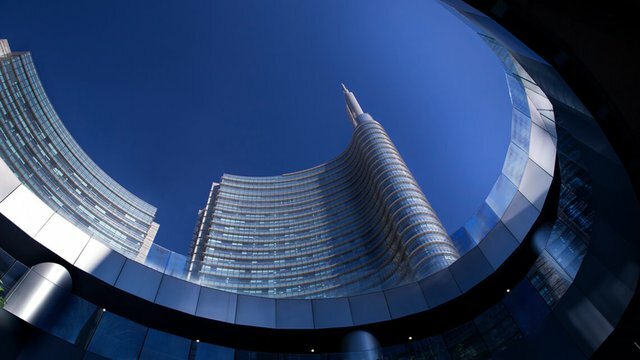 Italy’s cyber security market is growing and a high priority for the country. It is a key part of the country's digital transformation strategy. The defence and security sector is driven by innovation. There is a market for products and technology with civilian and defence applications. The Italian National Health System (SSN) is going through reform and modernisation to take on the challenges of an ageing population. The focus on prevention and outpatient care creates public and private sector opportunities. There is a market for medical devices and e-health applications as part of Italy’s drive to create a more modern health service. Innovative aids for older and disabled people are a growing priority. Prevention is becoming a bigger focus, and products and services in this area are in demand. A national plan to make public services more digital is driving innovation. There is demand for technologies to improve services, limit inefficiency and reduce regional differences. The Italian aerospace industry is one of the largest in the world. Aerospace and advanced engineering are priority sectors for imports. Italy hosts both large, established aerospace companies with strong supply chains, and innovative smaller businesses. The country has played an important part in aircraft development projects, including Airbus and Dreamliner. The UK government's aerospace team in Italy has strong relationships with many Italian and British trade associations. They attend major air shows, including Farnborough, to help UK companies source opportunities in research and development and in business. Italy has signed a double taxation agreement with the UK, meaning the same income is not taxed twice. Agenzia delle Entrate (Italian Revenue Agency) provides information on taxation. VAT is known as IVA in Italy. The standard rate is 22%. There are reduced rates for some products, including basic foods, and some services are exempt. You can find out more about VAT in Italy from the website of the Italian Revenue Agency. Products and packaging should meet EU standards, but Italy is more strict in some areas. This includes packaging and labelling. Ente Nazionale Italiano di Unificazione (UNI) has responsibility for Italian national standards. Comitato Elettrotecnico Italiano (CEI) is responsible for electrics, electronics and telecommunications regulations. Reforms in recent years have made it easier for companies to enforce contracts, register properties and resolve insolvency. Often the best way to start selling in Italy is to use an agent or distributor. You should find a tax and legal adviser before entering into any contracts. Contact DIT’s team in Italy for help. Payment periods are longer than in the UK. Business-to-business payments can take several weeks but in some sectors can take months or longer, especially where creditors are public bodies. A prompt payment code of practice has recently been introduced.